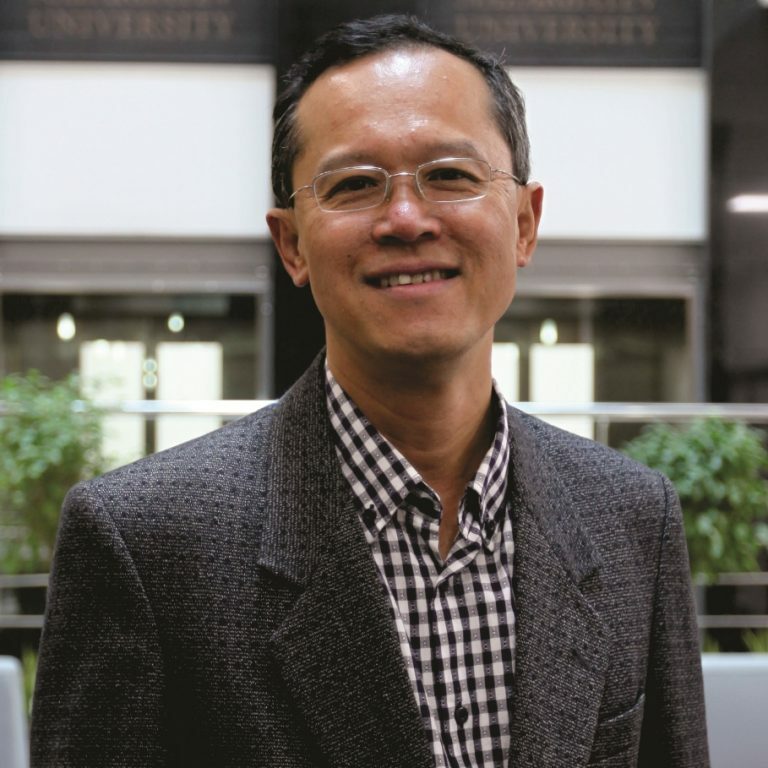 Dr Chee Kai Chan completed his BSc and MEd from the National University of Singapore. For his PhD he worked under the supervision of Prof David Jans at the John Curtin School of Medical Research at the Australian National University (1995-2000). His project was on nuclear transport, employing novel nuclear localisation signal peptides to enhance gene delivery. He went on to a A*STAR Post-doctoral Fellowship at the Johns Hopkins School of Medicine in Baltimore under the mentoring of Professor Wade Gibson working on a project using of Bacteria Artificial Chromosomes to generate mutants of Human cytomegalovirus. He returned to Singapore to be an Assistant Professor at the Nanyang Technological University at the National Institute of Education. He subsequently moved to be a lecturer at the Department of Genetics at the La Trobe University in Melbourne, Australia, in 2003 until 2014. During his time in La Trobe University, he lectured in a number of courses including 1st year Genetics, 2nd and 3rd year Human and Molecular Genetics, 2nd and 3rd year Medical Genetics for Medical Science students and Masters in Biotechnology. He was a course coordinator for Human and Molecular Genetics for 2nd year, a Post-graduate Coordinator of the Department of Genetics, a member of the School Teaching and Learning Committee of the School of Molecular Sciences. He was also a member of the University Genetic Manipulation Supervisory Committee and an executive member of the Food For Life Research Committee in La Trobe. He has a passion for Human and Medical Genetics Education. For his contribution to Teaching and Learning he received the Faculty of Science, Engineering and Technology Citation Award in 2007. He was also active as a Genetics Director in an Australian based company called Fitgenes Pty Ltd from 2008-2014 where he presently remains as a consultant on the company’s Scientific Advisory Committee. We are working to develop novel non-viral gene delivery vectors and strategies to enhance mitochondrial and nuclear delivery for gene therapy. To test for the effectiveness and usefulness of these novel gene delivery strategies we have chosen beta-thalassemia and cancer as disease models. We have also investigated the use of various polymeric nanoparticle encapsulation strategies and the use of ultrasound to improve non-invasive and targeted delivery of therapeutic drugs, genes and artificial chromosome to treat and to correct genetic defects. 2) Nutrigenomics. The interaction between micronutrients as genetic regulators and key genes that impact various aspects of mental health and metabolic disease. 2) metabolic syndrome such as diabetes and Non-Alcoholic Fatty Liver Disease. We are also interested in understanding the molecular mechanisms of such interactions and we are using the advantages of the zebrafish as a powerful model to provide us with valuable clues to address our hypotheses. The zebrafish has several crucial and relevant advantages, its rapid growth and development, ease in maintenance. Moreover, its close homology at the genetic, organ and tissue level to humans, its transparency at its embryonic stage allows for tractable observation at the cellular level in vivo. As such it is able to provide a model that is extremely useful to us in addressing questions regarding molecular mechanisms and in the understanding, the treatment and the progress of health and diseases. In collaboration with La Trobe’s Dr Adam Hart and Dr Jim Vadolas at the Murdoch Children’s Research Institute in Melbourne Australia, we are investigating the various molecular mechanisms that regulate the embryonic switch from gamma-globin gene expression to beta-globin with the objective of finding ways to compensate for the loss of beta-globin in adult thalassemia patients. Sports and nutrigenomics. Together with Dr Regina Belski, Dr Michael Kingsley of La Trobe University, and other collaborators we are looking at how caffeine supplements impact performance and recovery of team sports such as football as well as individual sports such as cycling. Obesity and metabolic diseases. A continuing collaboration examining various aspects of nutrition impacting obesity, diabetes, non-alcoholic fatty liver disease involves Drs Catherine Itsiopoulos, Audrey Tierney, Mark Jois from the Food for Life, Health and Performance program in La Trobe University. Alzheimer’s and nutrigenomics-We have an initiated a trial looking at nutrition, epigenetics and the delay in the progress of dementia and Alzheimer’s using bioactive nutrients with Prof Ralph Martins and Kathryn Goozee in Sydney.